To attain food security in Nigeria, research and development in food and agro-processing is important. Over the years, the Federal Institute of Industrial Research, Oshodi (FIIRO) has been involved in the industrialization of the national economy through processing of local raw materials into forms suitable for use in industries, development and upgrading of indigenous technologies. African Harvesters’ Agribusiness Conversations with Prof.(Mrs) Gloria Elemo the current Director General/Chief Executive Officer of Nigeria’s foremost research institute, The Federal Institute of Industrial Research, Oshodi (FIIRO). We have worked extensively on virtually all the agro-raw materials prevalent in different parts of Nigeria and we have come up with various products that have been rated high both locally and internationally. Some of our flagship research breakthroughs in the past include sorghum malt for beer, soy ogi infant formulae, instant pounded yam flour and odourless fufu flour to mention a few. What distinguishes us from other research institutes is actually situated in our mandate. We are the foremost research institute that was established to facilitate industrialization in the country by applying knowledge driven post harvest technologies to develop products and process technologies that can be scaled up for commercial production by investors and entrepreneurs alike. African Harvesters: What are the commitments of FIIRO towards the development and transformation of Nigeria’s agribusiness sector especially in food processing? Prof. Gloria Elemo: As highlighted earlier, one of the core mandates of FIIRO is research and development into food and agro-processing. As such as of today, FIIRO is synonymous with food processing and that is a fact known all over the country. One of the strategic moves we have made is to scale-up the commercialization of our R&D technologies and this has remained on course even as we speak. We have also gotten the approval of the Honorable Minister of Science and Technology to open zonal offices in the 6 geo-political zones for ease of collaboration and transfer of our technologies to entrepreneurs and investors alike. Our commitment is to make sure that there is one product or the other developed from our technology in every home across the country. It may look a tall order but we believe that we’ll get there. 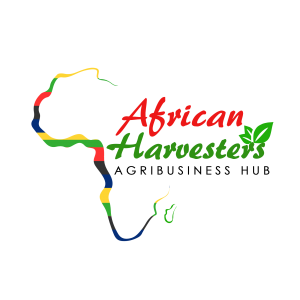 African Harvesters: What are the challenges faced in facilitating training, trade and business into Nigeria SMEs? Prof. Gloria Elemo: The issue of infrastructure and access to structured financing for SME development have been identified as some of the critical challenges facing that sector of the economy. The good news however is that the federal government is becoming more responsive to the need of the SME sector and perhaps I should say that some critical interventions are coming upstream. Policies such as creating windows for single-digit credit facilities, recapitalization of the microfinance banking sector and creating clusters of small businesses with shared infrastructure provided by government are steps in the right direction. The significant impact of these interventions on the economy will be felt with time given the critical mass of people employed within the SME sector. African Harvesters: Food Security is an issue in Africa – What is your advise in achieving food self-sufficiency in Nigeria? Prof. Gloria Elemo: There has been no time that Nigeria has been confronted with food security challenges than now. The astronomical rise in population coupled with the unfortunate insurgency in the northern part of the country, have further complicated the situation. Even where significant progress had been made in the area of investment in food production, it all seems insignificant in the face of the enormity of the demand. Coupled with this is the issue of climate change and its far reaching impact on the environment. My advise is for the government to broaden its collaborative effort at the local, state and national level at implementing its strategic plan to bring post-harvest losses to the bearest minimum by investing more in infrastructure such as power, renewable energy, rural feeder roads, cold storage, grain reserves and farmland irrigation amongst others. With the support of development partners and the creation of a more business-friendly environment, a lot more will be achieved in providing the needed infrastructure that can help in scaling up our food security status. Prof. Gloria Elemo: FIIRO as an organization places premium on the quality standards of its research and development activities. This is underscored by the fact that since most of our research outcomes in agro-processing lead to products meant for human consumption, a thorough procedure is followed to ensure that the best quality standards are maintained. As of today, we have in place an ISO 17025 certified analytical laboratory. We have a newly constructed animal house for our animal studies. We are also currently automating more of our pilot plant operations all in a bid to give more premium to quality standards in all our R&D activities. African Harvesters: How has agribusiness investment in Nigeria changed over the years and what other solutions can be proffered by relevant stakeholders? Prof. Gloria Elemo: I would say that agribusiness investment in Nigeria has improved significantly over the years. This has been made partly possible by some of the far reaching policy directions of the federal government particularly from the tenure of the former Honourable Minister of Agriculture, Dr. Akinwunmi Adesina. During that period, a deliberate effort was made in my view to reposition the entire agro-allied landscape not only to make it look more like a profitable venture but to also serve as a major channel for diversifying the economy and at the same time employ more of our teeming youths who would never have thought of venturing into the industry. Similarly the government recognized the need to have a stronger partnership with the private sector and yield more grounds to allow the sector become the frontline driver of the agro-allied industry. The impact of that was seen in the investment in the utilization of more local agro-raw materials such as cassava, rice and wheat. What this means is that if the federal government continues to create the enabling environment for business and also enact legislations that discourage reliance on imports, the industry will definitely grow faster. I must also mention that we are fortunate as a country to have the current Honourable Minister of Agriculture, Chief Audu Ogbe who has been a practitioner in agribusiness for several years before his appointment. I recall that he for instance paid a visit to FIIRO prior to the coming of the government of President Buhari to discuss some of his business interests in agro-processing and he has been here again in his capacity as the minister to foster stronger platforms for more of our local R & D results to be made available in the market. This vision is also complimented by the collaborative effort the federal ministry of science and technology is having with the ministries of agriculture and trade & investment amongst others. These along with the agricultural insurance intervention of the central bank through NISRAL and the strong partnership amongst stakeholders under the Nigerian Agribusiness Group and similar organizations will help in further developing the agribusiness industry in Nigeria.